The Stamford Mentoring Program is SPEF’s flagship offering. Launched in 2010, it began by engaging just 46 seventh grade students at Doan Middle School. During the 2016-17 school year it served nearly 900 students grades 3-12, in 16 schools throughout the district. The program is nationally recognized. In 2014, it was one of 15 mentoring programs nationwide to be selected to participate in the Quality Mentoring Assessment Path (QMAP), conducted by the Governor’s Prevention Partnership. SPEF’s Stamford Mentoring Program was rated as a highly effective program, the top rating possible. The program received an overall rating of 97% for program design and management, operations and evaluation. The Stamford Public Education Foundation is committed to meeting quality standards for mentoring that are safe and effective. 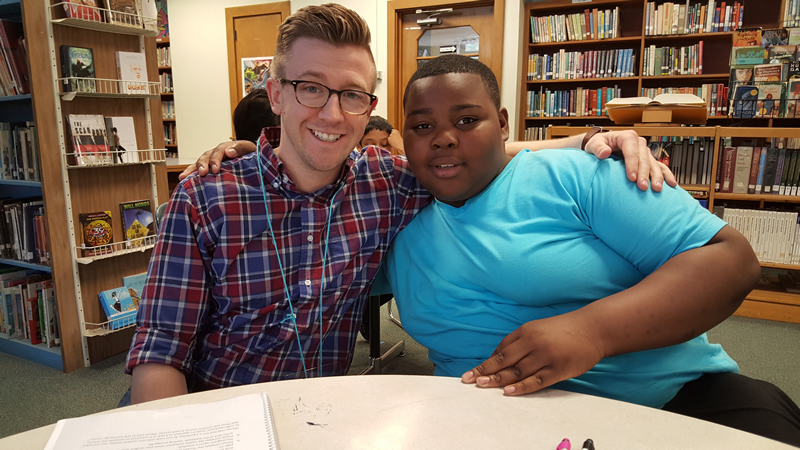 We strive to follow the nationally recognized best practices, known as the Elements of Effective Practice for Mentoring™ and established by MENTOR: The National Mentoring Partnership, to support quality youth mentoring relationships. To achieve these standards, SPEF is a member of the National Quality Mentoring System and has completed a quality assessment and improvement process facilitated by The Connecticut Mentoring Partnership.